I miss you old buddy. I remember when you were about 8 months old and you ate an entire bag of Hersey kisses that you pulled off the dining room table while I was at work. You ate them wrappers and all and I called the doctor in a panic because you ate all that chocolate. You were fine though, especially after you puked up a giant ball of foil in the front yard. The time I was maddest at you was the cupcake incident. I baked and painstakingly hand decorated two dozen cupcakes for Sugarplum's Sunday school class party (you would have been just over a year old). I went to bed Saturday night with two cookie sheets full of cupcakes on my stove top and woke up Sunday morning with THREE CUPCAKES - the ones you couldn't reach, standing on your giant hind feet. You snarfed (again, wrapper and all) all those cupcakes, spitting out only the tiny red cinnamon candies, and otherwise not making a mess at all. You didn't even get sick. But in 13 years the number of times you did wrong were precious few. 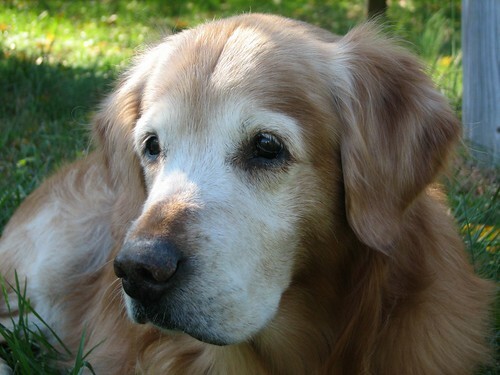 You were a good, good dog Sam. You loved us and only wanted us to be happy and you made us happy. You were a gift for Sugarplum when she was eight years old. The time when she could hold you like the great fat baby you were was fairly short. Golden Retrievers are big dogs. Right beside me, you watched her grow up. When you were five years old a tiny baby boy came home and you did not like that. At all. You kept a very wide berth, preferring to stay in another room altogether from this small intruder. But a boy emerged, one who loved you and spilled food and in time could toss the frisbee, and all was well. You were his best buddy. When you were ten years old another one came. You were older and more tolerant this time, giving a groan and an eye roll, steering clear until this one too, could throw straight. 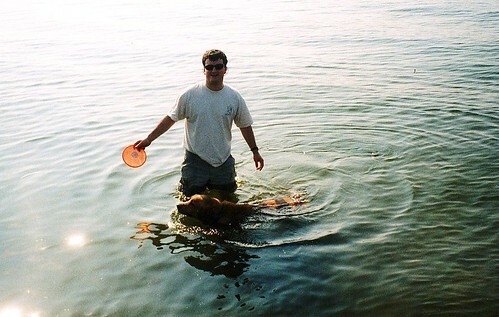 You loved frisbees and water. You could run and leap so high to catch that flying disk, and you could stay underwater longer than I would have thought possible. You loved to go camping and canoeing, you loved snow, you loved to dive off the end of the dock in Florida or dive for rocks anywhere there was a river or lake. Even as an old man, this past winter, you went sledding with us. 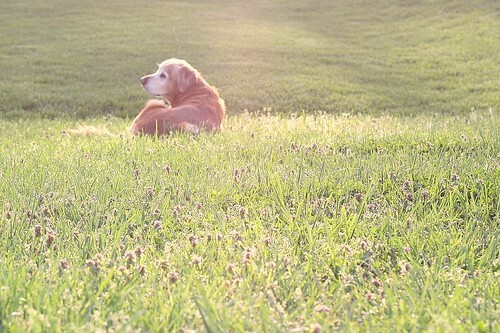 I remember when your puppy smell faded away I was sad, but you always had the softest ears. You acted like a young fool for years, waggling not just your tail but your entire body at everyone and howling with joy at family and visitors alike. I thought you'd never grow up. Then I watched your nose go white and your soft brown eyes grow wise. In time, you got slower and quieter. 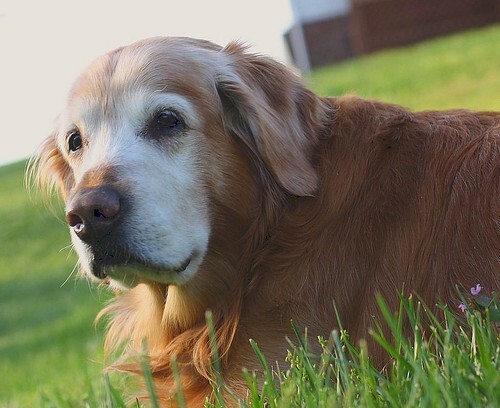 Sitting on the floor with you that last morning, petting and kissing your warm head and telling you how much we love you and what a good dog you are, the best dog there ever was, was the best goodbye you and I could have had, though just so very hard. In the last few weeks, Bear sometimes says "I want Sam to come home now." We all do. 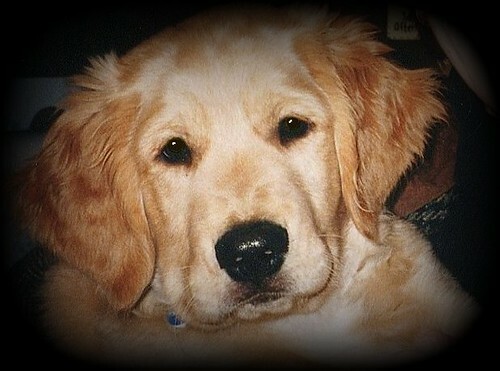 About your daddy...I promise Sam, no one ever loved a dog like he loved you. You were so special, so beautiful inside and out. You were truly a golden boy, and there will never be another Sam Golden. My brother and his dog are so connected. Nutty's face is so white, it can't be too much longer for her now. I worry about my brother. I know he'll want Nutty to come home too. 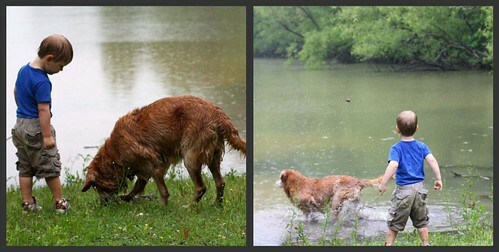 I'm so sad to learn of your Sam, I always liked you action shots of him here on the blog. Oh Amy, the tears just ran down my face. The old pictures are so precious. 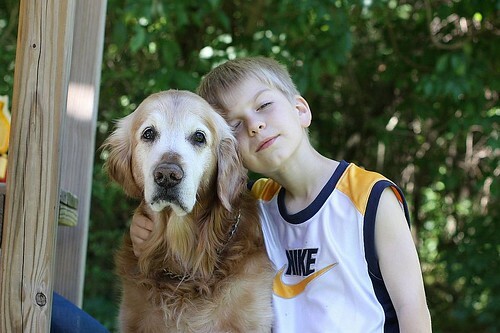 It's so hard to lose a pet, especially one that was as much a part of the family as Sam was. Hugs to you all and thank you for sharing your heart with this post. What a lovely tribute for a prince! Thank you everyone - I appreciate your kind thoughts. Tears over here. So sweet. I'm so sorry for your family's loss :( My kids have just entered the best friend stage with our dogs. I love it and dread the day we have to say goodbye. I'm so sorry! I'm crying, such a sweet, emotional, personal, true post. Kim - It's hard to lose them but they are so worth it. Red Shoes - I've never seen that before. Thanks for sharing it. 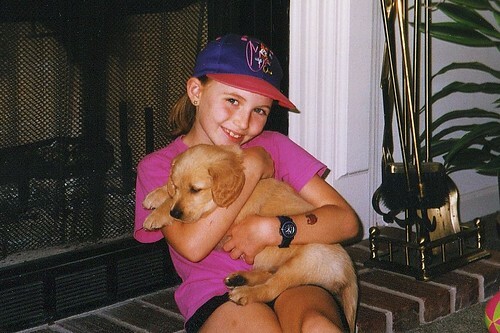 Oh Amy, just when losing our puppy was hurting a little less. 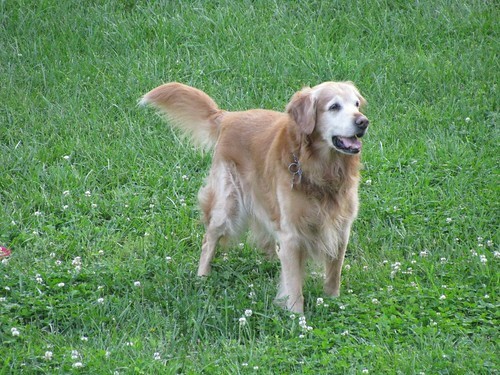 We too lost our Sam this year on 8/14 and she was 13. She was a lab mix. Your post was just awesome. I have to go get a tissue now and I'm sure explain why I'm now balling my eyeballs out to my husband. Oh Amy, I'm so so sorry you lost your sweet Sam. Thinking of you all during this tough time while you adjust to this loss in your life. Pets are so much a part of family. They ARE family. What a good boy, Sam. Your love touched a lot of people. That may have been the sweetest and saddest thing I have read in a very long time. Tears are streaming. Our pets are such wonderful additions to our lives, giving all they have to give and asking nothing in return than to be taken care of and loved, with some play time mixed in. Very beautiful. Sam was lucky to have such a wonderful family. I missed your bark when I rang the doorbell the other day. I'm sorry for your loss. It would be so hard to not get to see those beautiful eyes every day. Oh, so sad! I'm sorry for your loss, Amy, but happy Sam had such a great family to share his life with. Oh my goodness...I totally did NOT want to cry before class. My students will wonder what happened... This is what makes me reticent to get a dog. I just know I'll get too attached. awww. amy. i know exactly how you feel. our dogs are such buddies and they journey through life right alongside us. our lab lived to 12. she grew up with our kids. such a special part of our family, and i know Sam was such a part of yours. Oh, Amy. I'm sorry about your loss. Really, the only bad thing about dogs is that their life span is so much shorter than ours (someone else said that first). The other side of that coin being that we can love more than one in a lifetime, each of them with their own personality and quirks, but so very loving and lovable.